Northern California Medical Associates Cardiovascular Services explores national trends in cardiovascular disease and shares insight on staying heart healthy. February is American Heart Month – a month-long event aimed at educating people all across the U.S. about heart disease and prevention. NCMA Cardiovascular Services is taking this opportunity to share some news about heart disease and offers some tips on how to have a healthy heart. Every year the American Heart Association updates the heart and stroke statistics and this year, the numbers are just as alarming as ever. Coronary heart disease (CHD) (43.8%) is the leading cause of deaths attributable to cardiovascular disease (CVD) in the US, followed by stroke (16.8%), high blood pressure (9.4%), heart failure (HF) (9.0%), and other CVDs (17.9%). Over the next two decades about 130 million adults in the US population (almost half) are projected to experience some form of cardiovascular disease, and total costs of CVD are expected to reach $1.1 trillion in 2035. Stroke prevalence in adults is 2.7% in the US. The impact of hypertension management on stroke risk is evident with the greater risk reduction among those with more intense treatment. Heart disease continues to be the leading cause of death for both of men and women, claiming more lives than all forms of cancer combined. 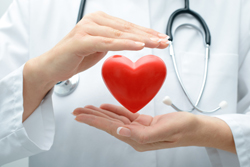 Improving heart health is paramount to maintaining a healthy lifestyle. In this case, knowledge is power, and with just a little effort it is possible to protect against heart disease. NCMA Cardiovascular Services offers patients a comprehensive range of cardiac services, interventional procedures and comprehensive care to meet the needs of patients with 11 offices, located in Santa Rosa, Petaluma, Sonoma, Healdsburg, Fort Bragg, Mendocino, Gualala, Ukiah, and Lakeport. For more information, visit our website.